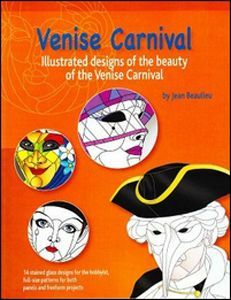 14 patterns that illustrate the beauty of the Carnival of Venice. Includes: Patterns depict the eccentric and mysterious masked characters found at the festival. Designs include the Joker, Peter & the Moon, Pierrot, Siren for a night, Arlequin, Comedia del Arte, and more. Each pattern is shown in full color and color suggestions are included.